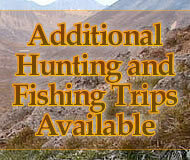 Here are some additional hunting opportunities not listed on our website. 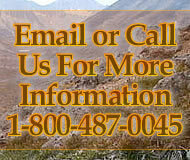 We hope you can enjoy the hunt savings. Call or email us for more information. Last year during our archery elk hunt, we watched 2 rams most of the day. The outfitter and guides spend alot of time before you arrive spotting rams so you get to spend time picking the ram you want instead of trying to find them. This 10-day hunt includes, meals, lodging and guiding. The 2017 hunt price has been reduced from $8,000 to $7,000. Call us to reserve your spot.